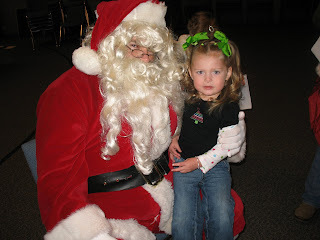 Avery only sat on Santa's lap because he was handing out a coloring book and a candy cane. 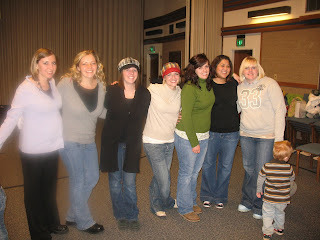 9 years ago Janet, Heather, their husbands, and Mary and I started a friends Christmas party. I think I was only able to go to the first 3 before this year so it was nice of them to let me rejoin them. It has grown quite a bit with new friends and everyones kids. 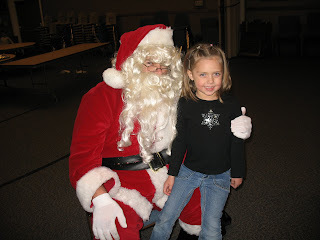 We had delicious food, entertainment from the kids, Santa came, and we had a cookie exchange. It was so much fun to be with them again. Thank you Heather for organizing it all. Miss you already!! Loved having you there this year! Looks like a lot of fun :) Santa pics are the best... I love Avery's face in that pic! She has more courage than little Emma.